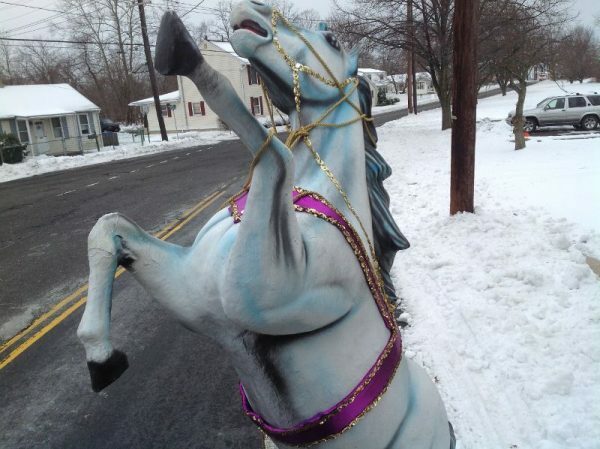 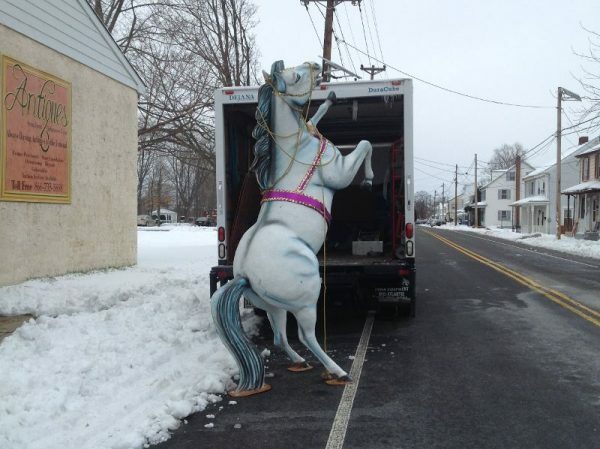 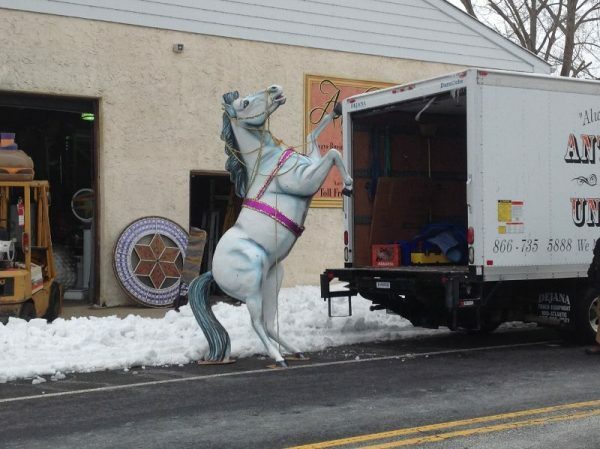 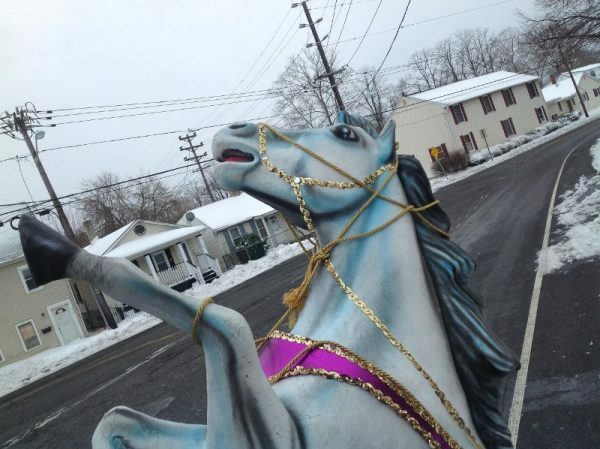 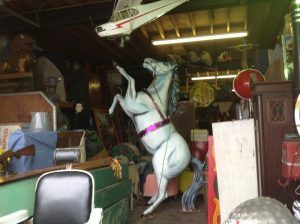 Miniature golf, amusement park fiberglass horse in as found condition. 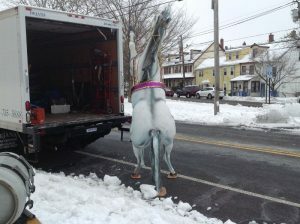 Some repair to right leg but otherwise in very good shape. 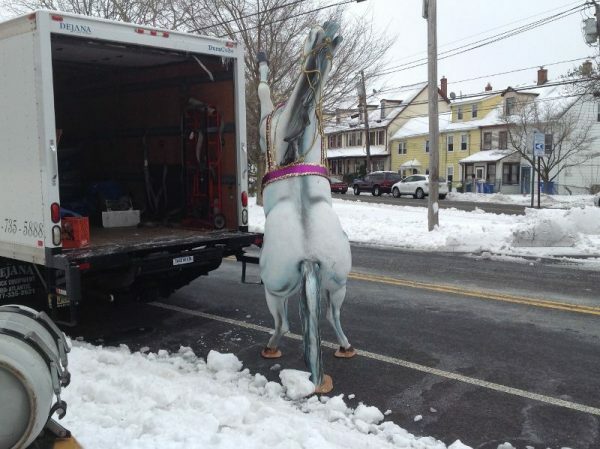 Last used in the Philadelphia Mummers Parade………..